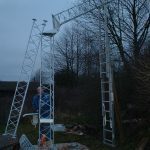 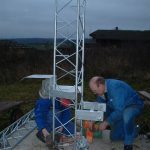 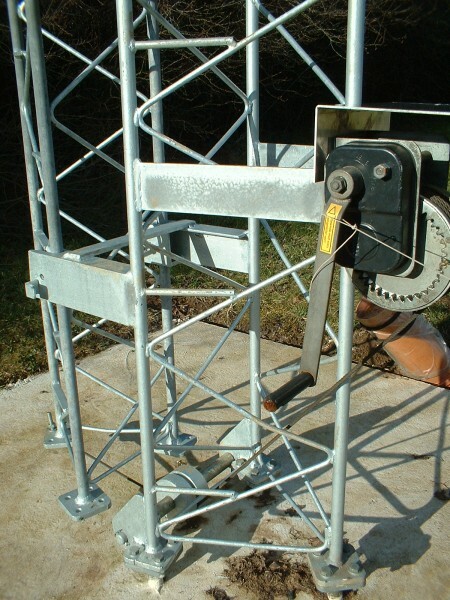 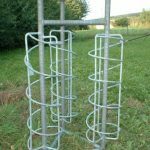 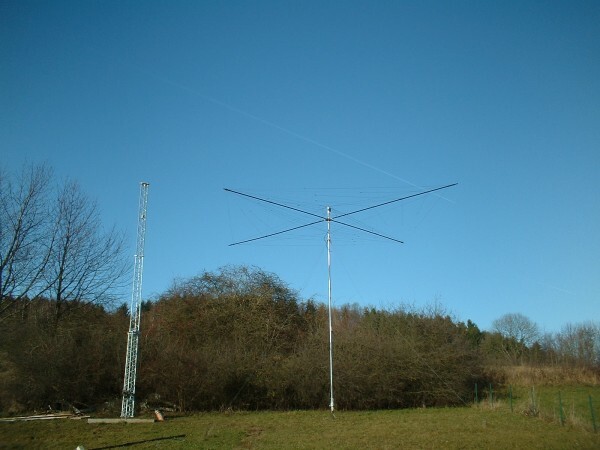 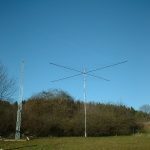 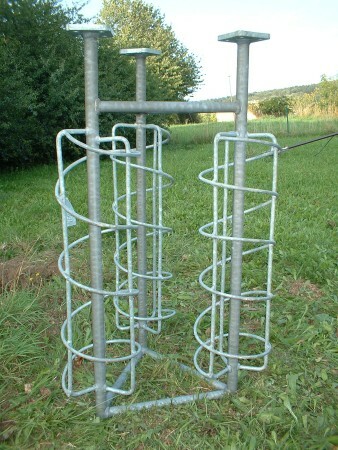 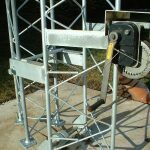 Several years ago my friend Heinric DJ6JC (sk) offered me five 3m (10 ft) sections of a 40m (135 ft) steel lattice tower made by his company Willer & Billerbeck (WIBI). 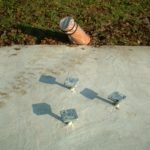 After many years with provisional antennas (and damaged cables while cutting grass in the garden) I decided to reactivate, restaurate, new galvanize and modify some sections for my antennas. 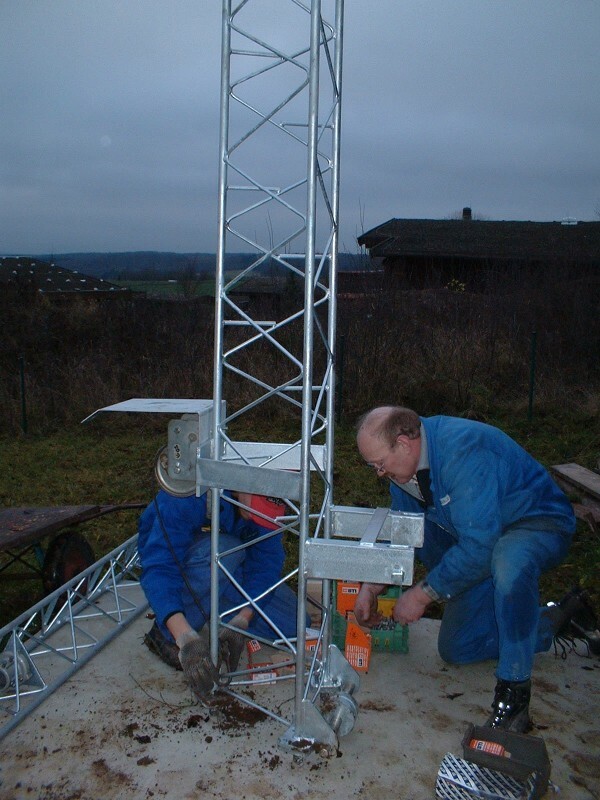 The goal was to tilt-over the tower for easy installation and service. 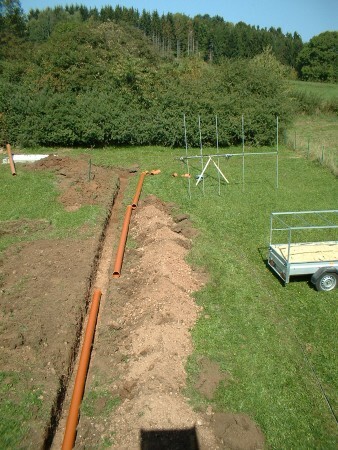 The following pictures shows some of the work done during my summer holidays 2006. 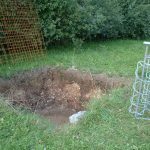 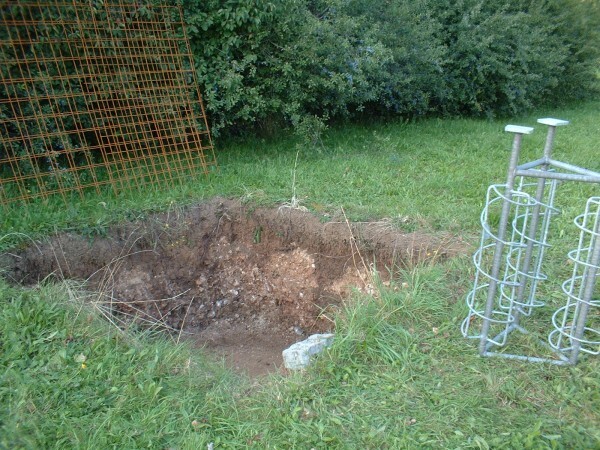 September 06, 2006: Digging the hole for the basement (2.2m x 2.2m x 1.1m) with ground post before concreted. 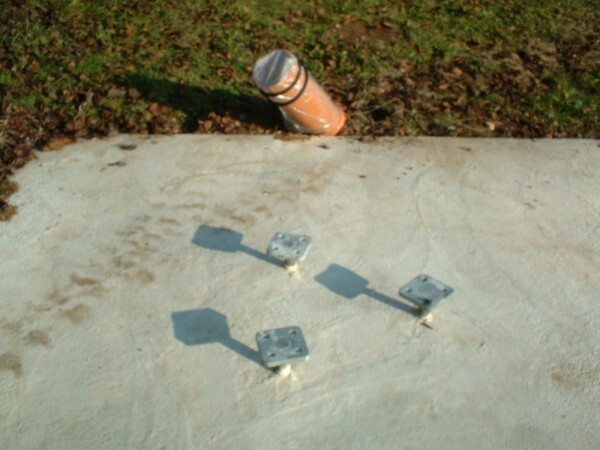 September 07, 2006: The basement is done, 5 m3 concrete filled. 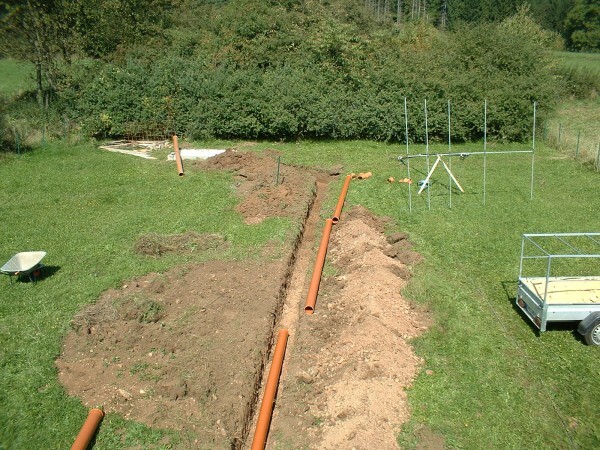 September 13, 2006: Digging the trench for the underground cables. 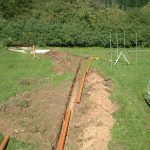 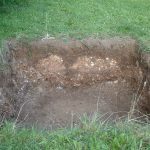 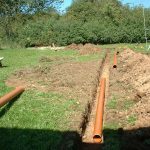 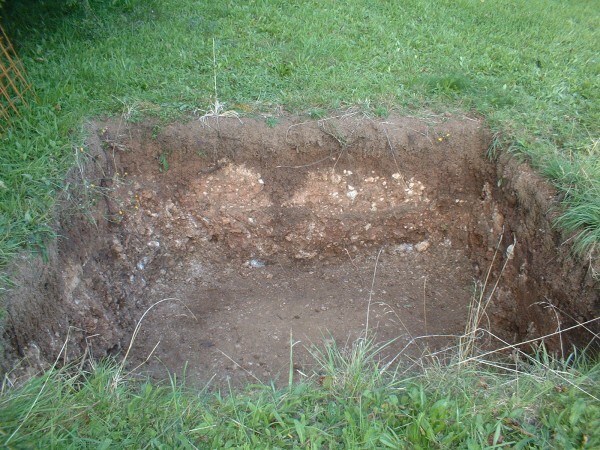 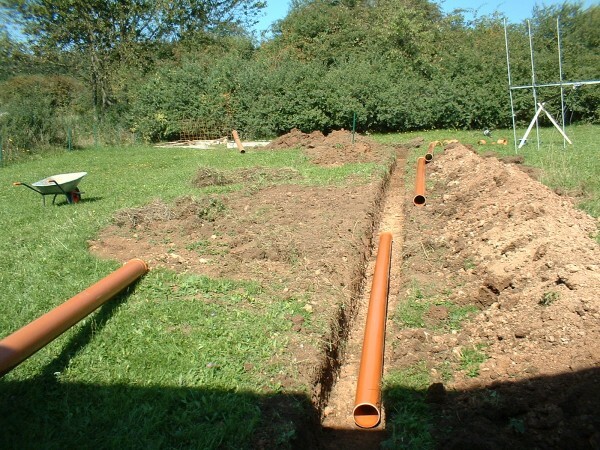 September 14, 2006: Trench filled up; cable entrance into the house for mainenance. 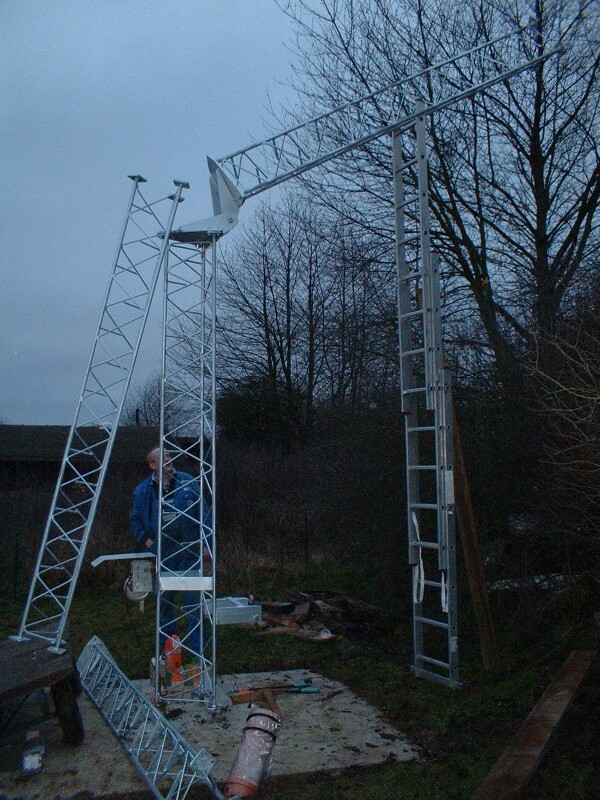 December 22, 2006: Mounting the new galvanized 3m (10 ft) mast sections.